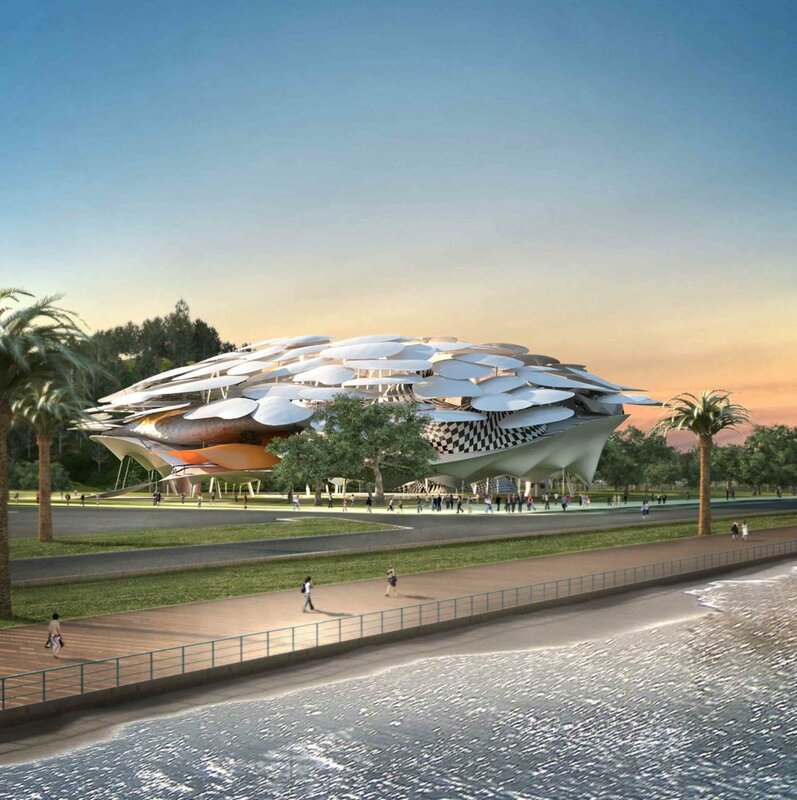 The City Museum of Zhuhai and Urban Planning Exhibition Hall is a regional museum and cultural facility authorised by the city government of Zhuhai. It has responsibilities of research, excavation, protection and collection of the heritage of the City of Zhuhai and exhibition, education and research of history, culture and art for the city. Additionally, it will exemplify Zhuhai’s approach to urban planning and construction, and become the roadmap for future urban development. The Shizimen Business district, located on the Xi River estuary in Zhuhai, is divided into two parts: The southern part is located on the northeast of Hengqin Island, its east and north extend to Shizimen River, while its south extends to Hengqin port district. The total planning site area is 5.77 km². The business and exhibition cluster is located in the northern part of Shizimen Business District (Wanzai and Monkey Island), with an area of about 258,000 m², and gross floor area of 556,000 m². The development is planned in two phases. During Phase One, 150,000 m² (gross: 245,000 m²) will be developed including part of the Zhuhai International Conference Centre; International Exhibition Centre, International Class A office building and two five-star hotels, business apartments and business facilities. Phase Two covers an area of 108,000 m², (gross: 311,000 m²) including the completion of the Zhuhai International Conference Centre, International Exhibition Centre, International Class A office building, and further business apartments and business facilities.